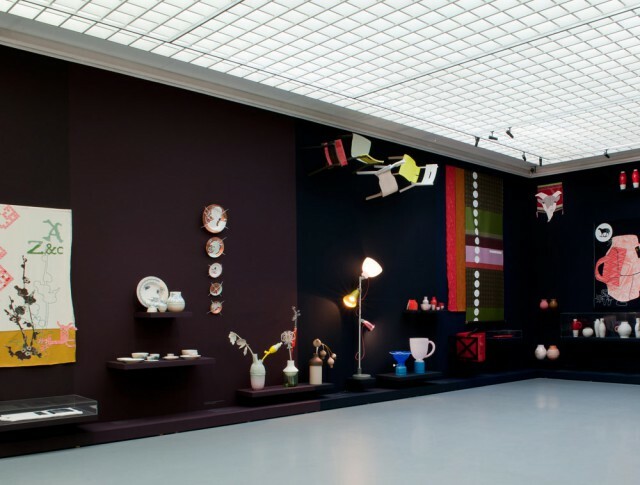 This autumn Museum Boijmans Van Beuningen is presenting the first retrospective exhibition in the Netherlands of the designer Hella Jongerius. It is a unique survey of her working practices, experiments and innovative products. 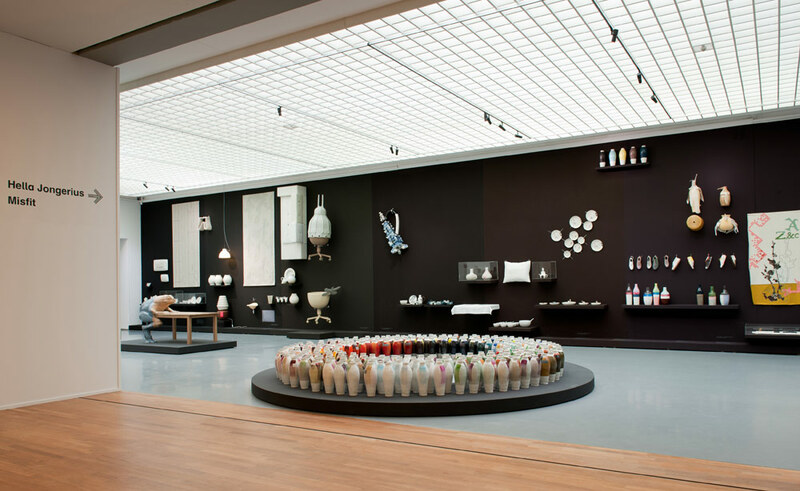 The exhibition at Museum Boijmans Van Beuningen includes industrial products, experiments and numerous sketch models, giving an overview of all of Hella Jongerius’s themes and preoccupations. The exhibition includes well-known designs such as the B- set, Long Neck & Groove Bottles, Repeat fabrics, Nymphenburg plates, the Polder Sofa, IKEA vases and the Frog Table. 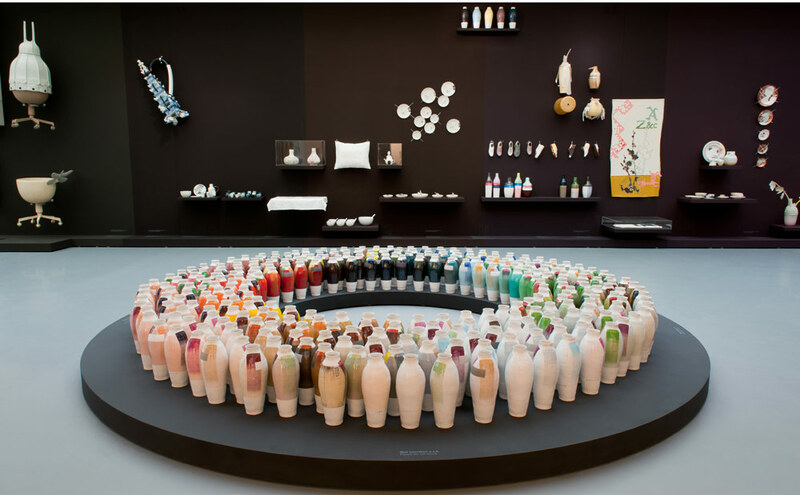 It also features her most recent work: in the middle of the space are 300 unique vases arranged in a circle according to colour. This series of Coloured Vases has been developed in close collaboration with Royal Tichelaar Makkum. On the walls there is a visual chronological survey of the works in the exhibition by the graphic designer Irma Boom. Hella Jongerius (1963) is one of the most important designers of her generation. In the 1990s she introduced imperfections and individuality into the industrial manufacturing process. Jongerius believes that the quality of craftsmanship is not legible in perfect products but only in the ‘misfits’ that betray the process and the hand of the maker. ‘Misfits are my idea of perfection’, says Jongerius. Many of her products, such as the Layers textiles and Nymphenburg plates, explore the potential of historical motifs and narrative decoration. In the Frog Table, the decoration literally escapes from the flat surface; the frog mediates between the table and the user almost as a living creature. 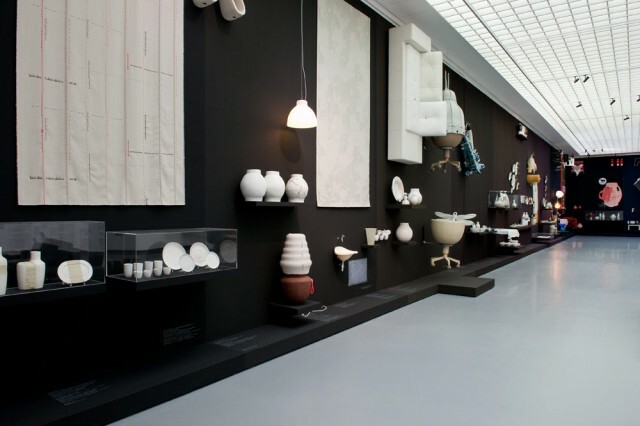 The retrospective exhibition at Museum Boijmans Van Beuningen explores Jongerius’s working methods and her innovative vision of the design profession. 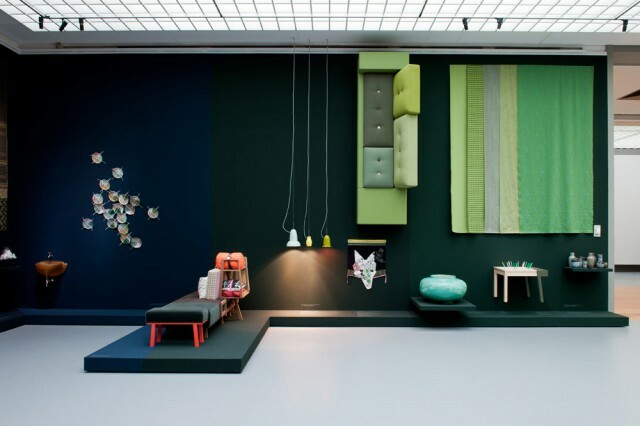 The objects are arranged by colour and almost all of them are attached to the walls. This display means that there is are no thematic or chronological groupings and also no hierarchy between preparatory studies and finished products. Moreover, the objects are stripped of their normal functional context. In a museum the user is an observer. The museum context offers the visitor room to reflect upon the objects’ hidden meanings. London. 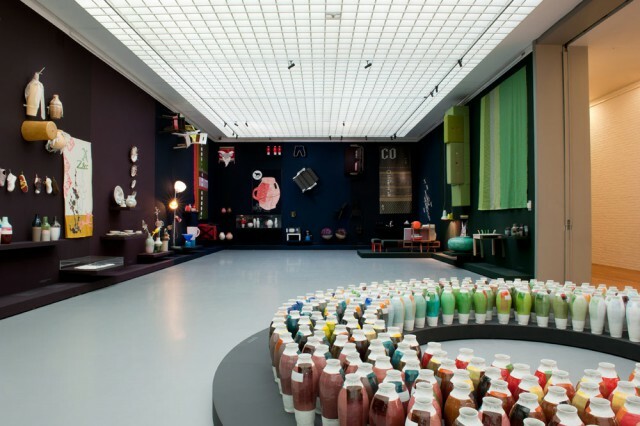 Her studio, Jongeriuslab, was based in Rotterdam until 2008. Jongerius now lives and works in Berlin. 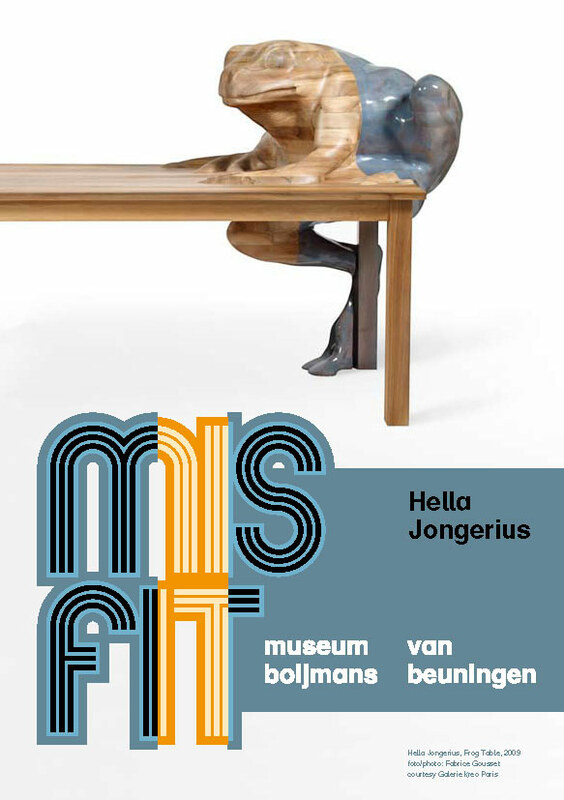 This autumn Phaidon Press is publishing the monograph ‘Hella Jongerius – Misfit’ written by Louise Schouwenberg, with contributions by the design critic Alice Rawsthorn and Paola Antonelli, Senior Curator in the Department of Architecture and Design at the Museum of Modern Art, New York. The publication is designed by Irma Boom and is available from the museum shop. The exhibition is curated by Louise Schouwenberg.